The big buzz word of the show, population health. Two of the market segments that I track with big shifts in value proposition were medical device data systems (MDDS) and messaging middleware. We’ll talk about specific shifts in a moment, but I think it worthwhile to consider why this change in value propositions has occurred. One obvious factor among MDDS vendors is acquisitions. Capsule Tech (registration required), Accent on Integration and iSirona have all been acquired. Acquisitions are major events when everything about a company is reevaluated in an effort to wring greater value from the acquired company. 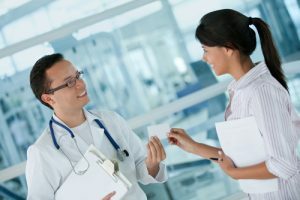 The other factor I think is the growing adoption of MDDS for clinical documentation into EMRs may have caused sales growth to temper a bit, causing vendors to look beyond clinical documentation and explore for ways to add value and differentiate. Let’s look at some examples. 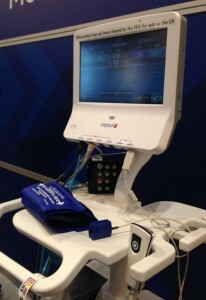 The latest iteration of the Neuron shown at HIMSS14 becomes a vital signs monitor with plug in sensors. Capsule has taken the general purpose computing functions that make up most of a conventional embedded system device and implemented them in the Neuron. Next they’ve taken sensors with miniaturized electronics that acquire and process the sensor data and convert it to a standard USB interface. 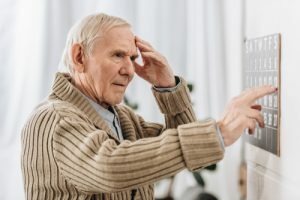 Plug a temperature probe, SpO2 sensor, non invasive blood pressure module and similar sensors into the Neuron, and you have the new SmartLinx vital signs monitor, part of Capsule’s medical device information system. This new approach allows sensor vendors and Capsule both to add value at the expense of conventional vital signs monitor manufacturers. In addition to SmartLinx, Capsule showed a new terminal server called Axon with power over Ethernet and Wi-Fi connectivity, and what they called “clinical analytics.” Capsule’s clinical analytics, really a clinical decision support system, is presently targeted at identifying patients with a deteriorating clinical condition and diagnosing patients with sepsis. Accent on Integration (AoI) was acquired by Iatric Systems. AoI has extended their value proposition beyond MDDS and clinical documentation to include infusion pump interoperability whereby their software will be used to program infusion pumps based on orders from CPOE and pharmacy systems. This is one of the first pump interoperability solutions to come from a third party (i.e., not from a pump or EMR vendor). Iatrics is using Meditech’s proclivity to avoid systems integration to enter the pump interoperability market. Nant Health is a health care IT and medical device company created by serial entrepreneur Dr. Patrick Soon-Shiong. The company’s atypical product portfolio ranges from mHealth to revenue cycle management. 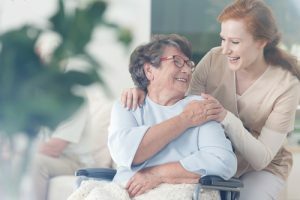 Since iSirona was acquired by Nandt Health, the company has received FDA clearance and brought to market an alarm notification solution for acute care. This pulls iSirona squarely into the messaging middleware space. The company also showed HBox, a new terminal server and connectivity hub with a similar design and capabilities of Qualcomm’s 2net. The HBox includes wireless connectivity via Wi-Fi and a proprietary radio in the Sensium wireless sensor package from Toumaz (what they call a “sticking plaster” in the UK). It appears that Nant Health will be selling the Sensium into the acute care market as a means to identify patients with a deteriorating clinical condition. The HBox will be used as a gateway communicating with the Sensium device and connecting it to the enterprise network, and later HBox will be used to provide connectivity in patient homes. Besides the changes at the MDDS acquisitions above, similar moves up the value chain away from conventional MDDS solutions are wide spread. Cerner continues to add clinical capabilities on top of their MDDS capabilities, and HIMSS14 was no exception. Besides refining the alarm notification system they’ve had for some time, Cerner showed extensive workflow automation and communications via their care team communications solution. 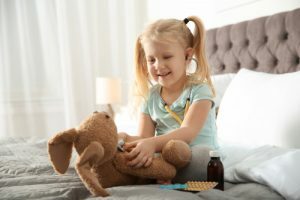 Excel Medical Electronics has shifted into clinical decision support and data analytics by leveraging their MDDS capabilities and IBM’s InfoSphere Streams. Just prior to HIMSS14, Excel announced the AlarmNavagator to help hospitals meet the Joint Commission alarm safety national patient safety goal. The folks at True Process, another MDDS player, got into the bar code medication administration business two years ago. They also compliment MDDS sales to hospitals with contract product development business helping medical device manufacturers add connectivity to their products. 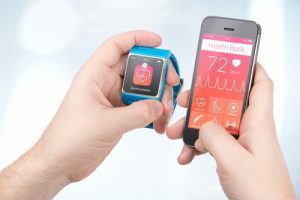 In the recent past the MDDS market was dominated by the acquisition of medical device data to populate flow sheets in EMRs – an important but basic enabling technology for higher value activities like alarm notification, clinical decision support systems and other tasks more directly related to patient care and outcomes. After just a few years – lightening speed for the health care market – the MDDS market is undergoing major changes. Specialized medical device central station with alarm management, surveillance and event review. These spot solutions match a series of pain points for health care delivery organizations. Various messaging middleware vendors target one or more of these pain points with spot solutions. Since HIMSS14, I’m up to 25 companies that I track in messaging middleware. The product architecture and capabilities of these different company’s solutions are very similar, if not virtually identical. Yet few of these companies see more than a hand full of competitors in their sales efforts. This is because different companies are targeting different sets of pain points with spot solutions. These spot solutions can exist in customer sites as separate systems or they may be integrated to provide different capabilities to the same sets of users. At some point the market is going to start to swing from spot solutions to enterprise solutions. Much like the transition experienced by Emergin years ago, buyers are going to wake up and recognize they’re buying multiple spot solutions that are technically very similar for their various pain points. The question will arise, “Why can’t we meet these various needs with one solution rather than having to buy one for each problem?” At this point, messaging middleware companies will start to recast themselves as enterprise solutions able to address a wider variety of pain points. As manufacturers continue to draw outside the lines of conventional market segments, the challenges increase for buyers to select solutions that will serve them for more than the short term. Hospital buyers must complete rigorous requirements assessments to enable a meaningful assessment of competing solutions. And manufacturers will have to stay close to the pain points of buyers if they want to drive sales. The best I could tell population health is something enabled by health information exchanges, or something. It seems vaguely like what the NSA does with our phone calls, smart phone apps, locations, email, webcams, Twitter, Skype, Facebook, Google, etc. Is there real value in all this? The NSA seems to think so. But I wonder if a panopticon of electronic health care data will be any more specific, sensitive or cost effective than conventional double blind clinical trials. Robust clinical trials are not cheap, but then extending the surveillance state to health care won’t be cheap either. This blog post is part of the #HIMSS14 Blog Carnival #4, Looking Back at HIMSS14. Be sure to check out the carnival to see what other HIMSS14 Social Media Ambassadors though about this year’s event. Finally, I’d like to thank the folks at HIMSS for having me attend this year’s event as a Social Media Ambassador. I hope people got something from my tweets during the conference, and this wrap-up blog post.